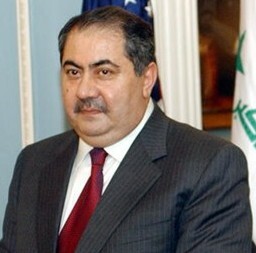 Foreign Minister Hoshyar Zebari said Iraq is witnessing the era of economic prosperity, full of investment and oil companies and diplomatic representation, although the state of division and division political reflecting a shadow on the security and stability in the country. while Zebari said that Iraq fear of leakage of weapons that are sent to the armed groups in Syria into the hands of terrorists on its territory. Baghdad (newsletter). Economist Ismail said Radi, the Convention concluded by the Iraq market for securities with the NASDAQ stock market will contribute to the development of its trading system. He said content (News Agency): the Iraq market for securities with an urgent need to develop its work through the use of modern technology systems, hiring discreet international institutions specialized in developing the work of global exchanges. Executive Director announced to the Iraqi market for securities Taha Ahmed Abdulsalam signing of an agreement with Nasdaq OMX »American information technology to transform the e-trading system to the middle of next year. Baghdad (newsletter).Deputy Prime Minister and Minister for Foreign Affairs of Kuwait Sheikh Sabah Al-Khaled Al-Hamad Al-Sabah, the State of Kuwait to respect Iraq’s sovereignty, stability and territorial integrity, again refused, leading to fragmentation and interference in its internal affairs and preserve their identity Arabic and Islamic. (AIN) -Kuwait decided to appoint a senior diplomat at its embassy to Iraq to follow up the file of the Kuwaiti prisoners and missing persons after the former regime’s invasion to Kuwait in 1990. The Foundation signed a NASDAQ Global Market, on Saturday, an agreement with the Iraqi market for securities to develop the system work in business dealings, and showed institution that the agreement includes replacement of the stock market Iraqi its system current ones will make it a platform for stock trading fast and sophisticated at the global level, as confirmed by local officials that partnership with the NASDAQ will make Iraq a financial center for all commercial activities of regional and global markets. During a period of less than ten years the proportion of stock trading business in the Iraqi Stock Exchange tenfold expectations of sales of shares to more than $ 1.2 billion during the year 2013 while the increased market capitalization seven-fold during the same period to reach more than 12.170 billion dollars in the first six months in 2013 only. The technology NASDAQ X-Stream currently used in more than 25 exchange in the world market. And the market for securities Iraq three branches in Baghdad and Erbil, Najaf and the latter opened in the seventh month of January 2013. It is noteworthy that the Iraqi market for securities, which was established in June 2004, which was founded and was following a manual trading prior to the adoption of electronic trading in part on 19 April 2009, and then fully in the year 2010, and traded in the market dozens of companies specializing in sectors including banking, industry , hotels, tourism, agriculture, and the number of sessions the market in the year 2010.236 session, during which trading of more than 256 billion shares worth more than $ 339 million through the implementation of 71 thousand a decade, and in 2009 the number of sessions the market 152 a session, it was a circulation of about 211 billion shares valued at 307 million dollars through the implementation of the 49 thousand contract. Baghdad: Hussein thghb Al-Tamimi (morning)-hours after get rid Iraq from Chapter VII, the dinar has risen against the dollar. Baghdad/JD/… Estimated funds which will be at the disposal of the Central Bank of Iraq after exit from Chapter 7 about $ 82 billion, amid warnings of Iraq’s creditors who are thirsty for such funds. Iraq departure from Chapter VII poses new challenges, experts say. Iraqi people celebrate after United Nations announced the end of sanctions imposed on Iraq, in Baghdad, June 27, 2013. Erbil, Asharq Al-Awsat—The Iraqi Kurdistan Parliament welcomed Iraq’s exit from its obligations under Chapter VII of the UN Charter after the UN Security Council unanimously agreed to resolution 2017 on Thursday. KUWAIT, June 29 (KUNA) — The State of Kuwait welcomes recent UN Security Council resolutions concluding mandate of the special international coordinator for Kuwaiti missing and POWs and archive and charging UNAMI, the UN Assistance Mission in Iraq, with these files. Hours after Iraq concludes from the provisions of Chapter VII, the exchange rate of the Iraqi dinar soared against the dollar. United States Governments of Iraq and Kuwait to succeed resolve key bilateral issues and international over the past year. Washington / NINA /– U.S. State Department said in a statement that washington is working with the Iraqi government to heal the political tension. A report issued by the International Center for Development Studies and status of the British capital London to Iraq, which reached its budget to nearly $ 119 billion for this year does not have them, but what converts the International Monetary Fund from the sale of oil revenues into the Development Fund for Iraq. After recognizing improved Iraq-Kuwait relations, the U.N. Security Council on Thursday unanimously voted to ease sanctions against Baghdad. Sanctions were imposed on Iraq after Saddam Hussein invaded Kuwait in the 1990’s. The embargo on Iraq falls under Chapter VII of the U.N. charter. Baghdad (AIN) -The UN Security Council will hold at 7 p.m, according to Baghdad local time, a session to discuss canceling the SC resolution issued in 1990 which put Iraq under the UN sanctions. -The 35th report of the UN Secretary General over the 14th item for SC No.1284 for 1990.